Though they never had mainstream success, Mantronix were hip hop pioneers especially as it relates to electronic dance music and DJ techniques. Bassline is probably their best known song. 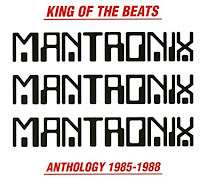 The two guys in Mantronix were DJ Kurtis Mantronik (Kurtis el Khaleel) and rapper MC Tee (Toure Embden). Both guys were born in Jamaica and grew up in New York City. el Khaleel was inspired by Ryuchi Sakamoto of The Yellow Magic Orchestra to start experimenting with electronic music. He became the in store DJ at Downtown Records in New York City and Embden was a customer. They decided to work together and they signed with local hip hop label Sleeping Bag Records. el Khaleel also became their house producer. 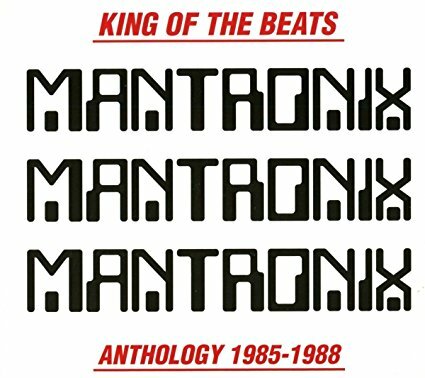 Mantronix: The Album was released in 1985. Songs like Bassline were a very early example of electronic dance music. Though commercial success eluded Mantronix, the music was very influential on other hop hop guys. Bassline has been sampled many times. Their second album for Sleeping Bag Music Madness was more dance music oriented. And that eventually forced Embden to leave Mantronix in 1988. He moved to Atlanta and left the music business. They signed with Capitol Records and the 1988 album Full Effect was Embden's final album with Mantronix. He was replaced by rapper Bryce "Luvah" Wilson. el Khaleel also brought in singer Wondress Hutchinson and the single Got To Have Your Love had R&B and dance chart success. After the 1991 album The Incredible Sound Machine, el Khaleel was burned out and he quit the music business. This 2CD comp covers Mantronix's 80s recordings. el Khaleel returned in 1998 and he has recorded two albums. He still does plenty of remixes and producing. Here's the video for Bassline by Mantronix.